The 2016 Lyn Lake Street Fest and Open Streets Rock Together again on Sunday, June 5th! Returning for its 6th iteration, the Lyn Lake Street Festival has become a signature community event that celebrates the Lyn Lake brand. It’s also a gift to the surrounding communities that support local businesses along the avenues of Lyndale and Lake Street. The festival returns on Sunday June 5th returning to the Garfield parking lot behind The Jungle Theater and Fuji Ya between 29th and Lake Street from noon to 8 PM. This year’s festival again partners with Open Streets Minneapolis, closing Lyndale Ave from 22nd St. to 42 St. for the 4th consecutive year. Pedestrians take over the streets and promenade on bikes, blades, skateboards and strollers between the hours of 11 AM to 5 PM. This year’s Lyn-Lake Street Fest features eight popular Twin Cities bands for an afternoon of non-stop music. The 2016 line-up is complete with Brother Ali as the headline act. Besides having 8 unique and diverse acts lined up, the best part is that its free. Another favorite that hasn’t been seen in a long time is Jamieson the Juggler. His juggling skills are so intense that the bands consider him to be a rival. Now touring around the country in a juggling comic troupe The London Broil, he is in town briefly to celebrate his birthday and offered to be a part of the event again. 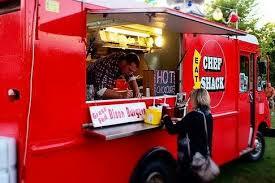 Lest it be forgotten, this year will host 4 local restaurants with food booths, and 4 fantastic food trucks. The Lyndale Taphouse, Galactic Pizza, Fuji Ya, and Prairie Dogs will roll out their local favorites festival fare. This years food trucks welcome back Foxy Falafel, and Chef Shack and new food trucks Lyn 65 and Tatanka Truckwill no doubt run out of food before the headliner makes the stage. All event net proceeds are shared by three community non-profits, the Blaisdell YMCA, The Lyn Lake Business Association and the Joyce Food Shelf, strengthening the sense of community that’s at the heart of our eclectic neighborhood. Food donations will be accepted at the YMCA booth at the festival. The Blaisdell YMCA plays a prominent role as a key sponsor providing a large part of the volunteers for the day of the event. The Lyn-Lake Street Festival promises to be one of the highlights of the local outdoor concert season this summer in the Twin Cities, free and family friendly. Partnering with Open Streets Minneapolis heightens the already festive feel of the Lyn Lake community. The Lyn Lake Business Association is encouraging businesses on both Lyndale and Lake Street to join the festivities.